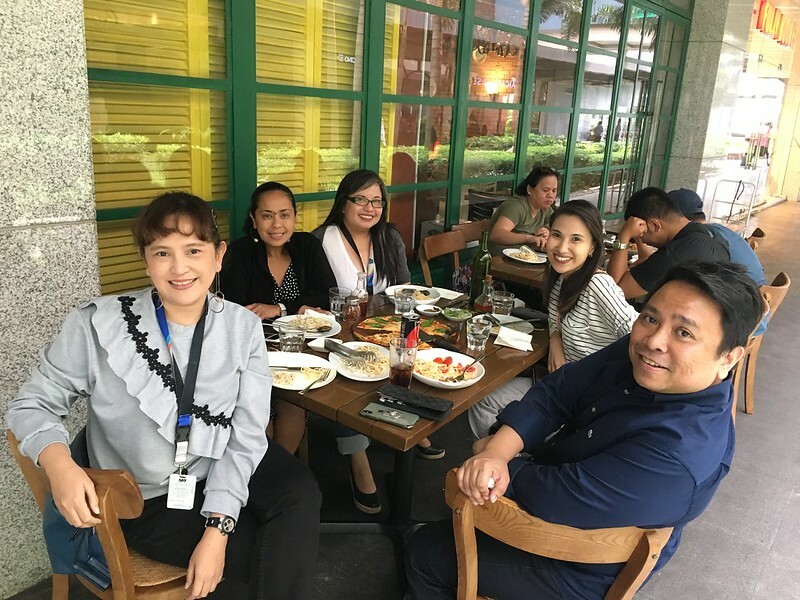 For an oft-stressed-out office worker, lunchtime is a sacred hour: an opportunity to leave one’s desk and devote time to good food and good vibes. What will make it even more enjoyable? The company of good friends! 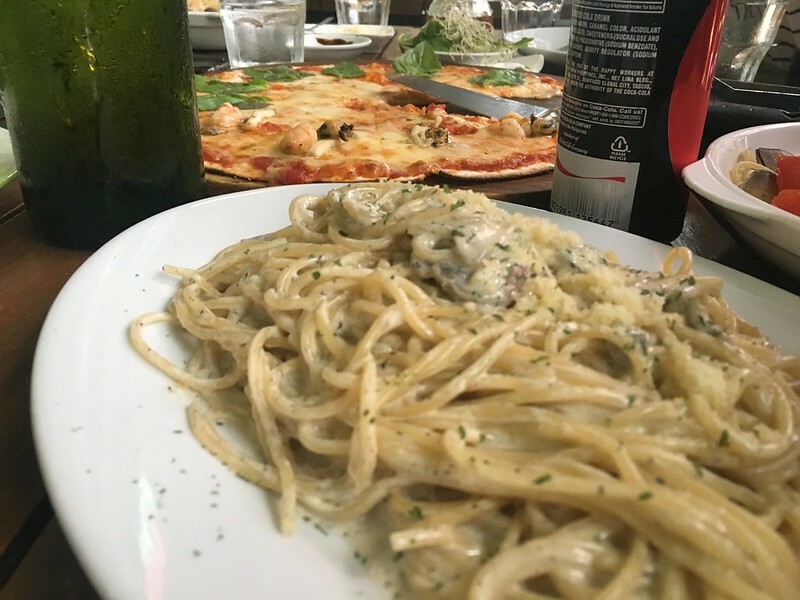 That’s what happened last Tuesday when, together with a group of officemates, I traipsed off to Ayala Vertis North to treat ourselves to yummy Italian food at Mama Lou’s Italian Kitchen. The resto got its start from a real kitchen in a family home in BF Homes Las Pinas. The couple Richard and Malou Tremblay decided to open their doors to guests in 2010. 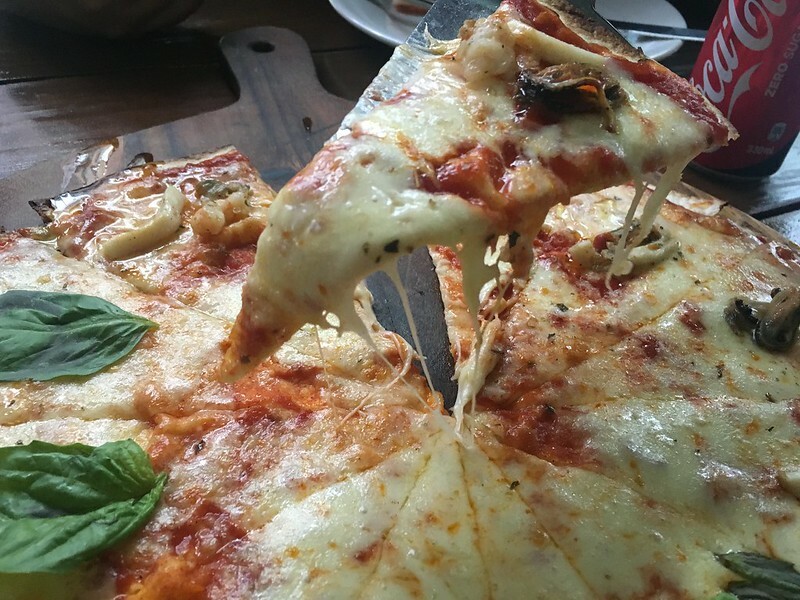 Though remaining family-run, the venture has since grown into Mama Lou’s Group which is comprised of two Italian concept restaurants: Mama Lou’s Italian Kitchen and Nonna’s Pasta & Pizzeria. 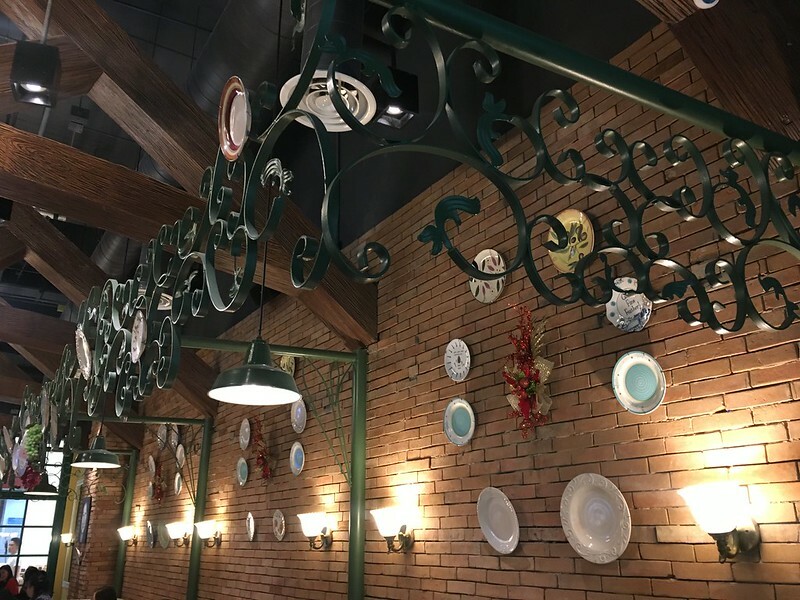 Both eateries continue the tradition of providing guests the feeling of comfort and happiness of coming home to good food. This Mama Lou’s branch is occupies a sprawling space with seating good for small and large groups. Our group opted to sit outside as we found the air-conditioning inside to be a bit too cold (Side note: I just know I will miss the cold weather of late January when the summer months come in). 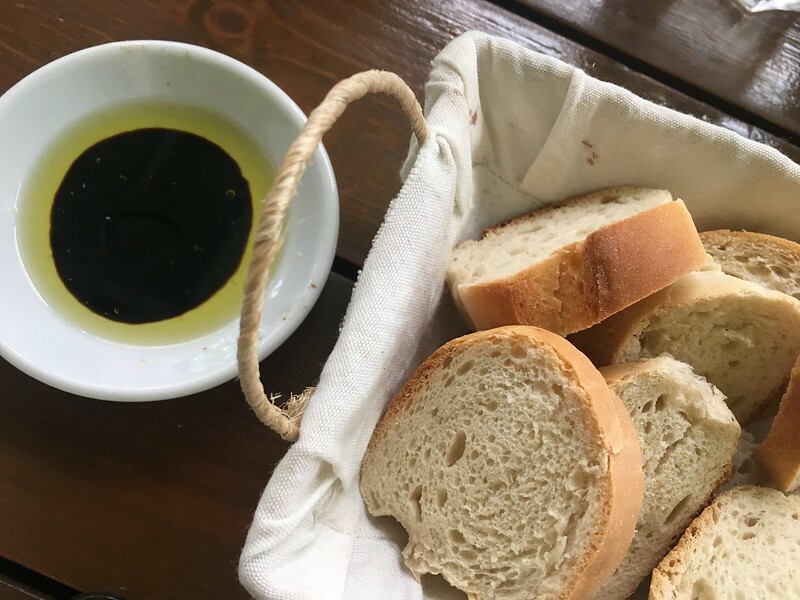 While waiting for our food, we were given bread that we dipped in olive oil, balsamic vinegar and parmesan cheese. 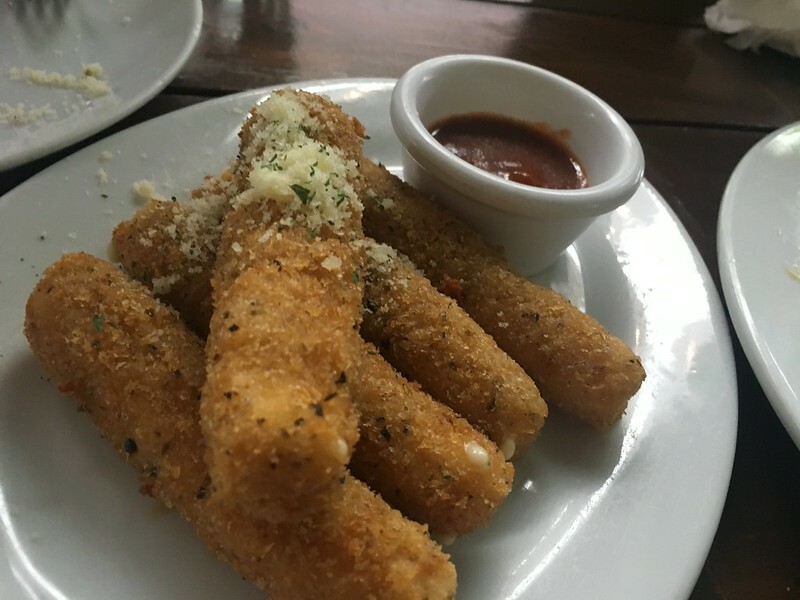 For starters, we have Mozzarella Sticks (Php225), fat pieces of cheese breaded and fried to a crisp golden brown on the outside and a yummy gooey cheesy inside, well complemented by a side of rich tomatoey pomodoro sauce. 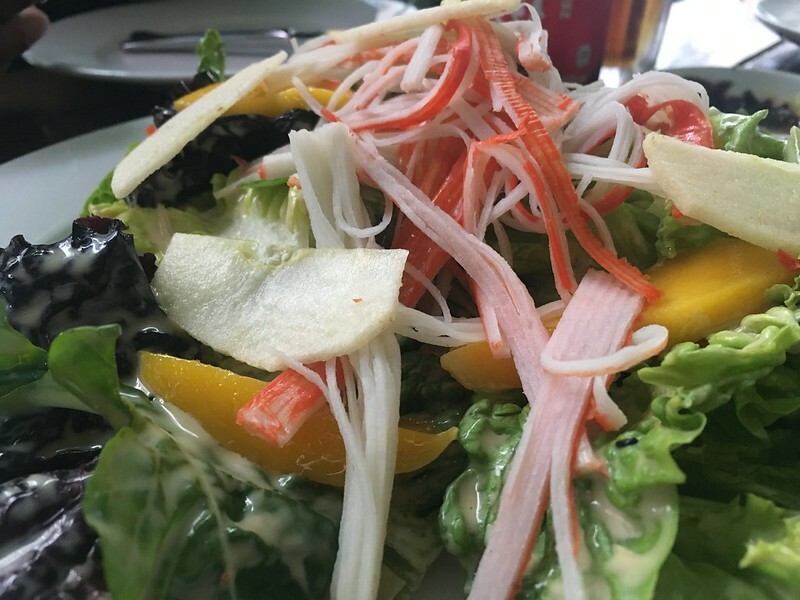 An Oriental Salad (Php325) gave us a taste of freshness with crisp greens topped with slivers of ripe mango, apple slices, crabstick meat and drizzled with Mama Lou’s special sesame dressing. 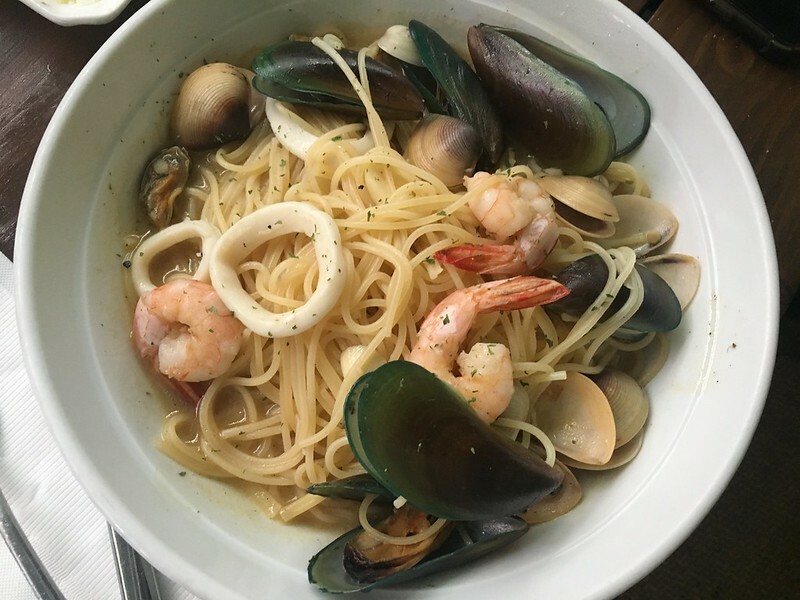 A new dish, Lucio’s Truffle Pasta (Php350) was a decadently creamy delight with a rich hint of truffle oil while Spaghetti Seafood Olio (Php350) and Vongole Olio (Php295) gave us a healthy taste of the sea. 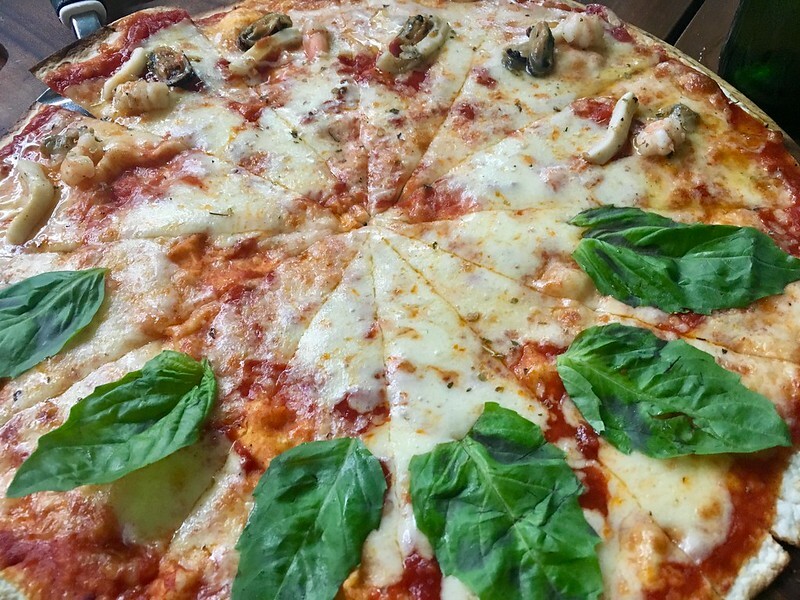 A 14-inch combination of Frutti di Mare and Pizza Margherita (Php550) served with arugula and alfalfa made our meal even more filling. 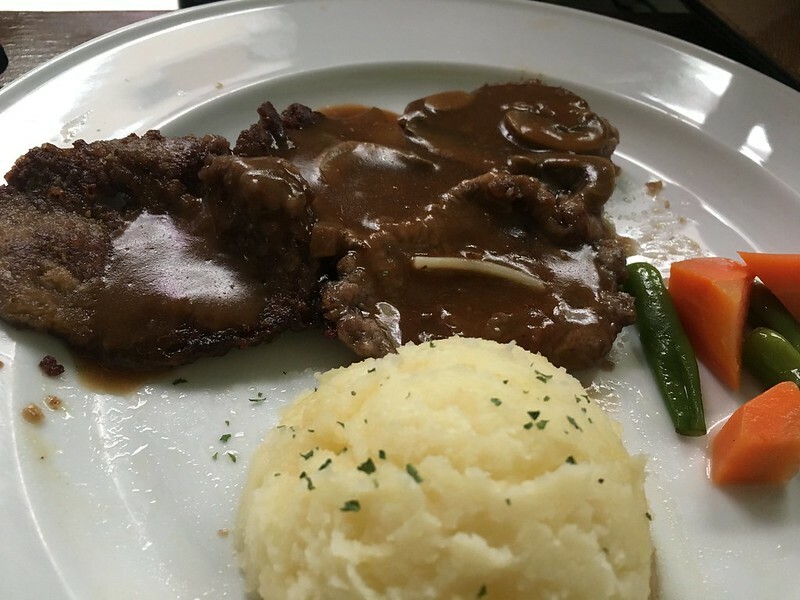 The Pan Fried Beef Scaloppine (Php395) was late in reaching our table so we weren’t able to enjoy the dish as much as we would have liked. 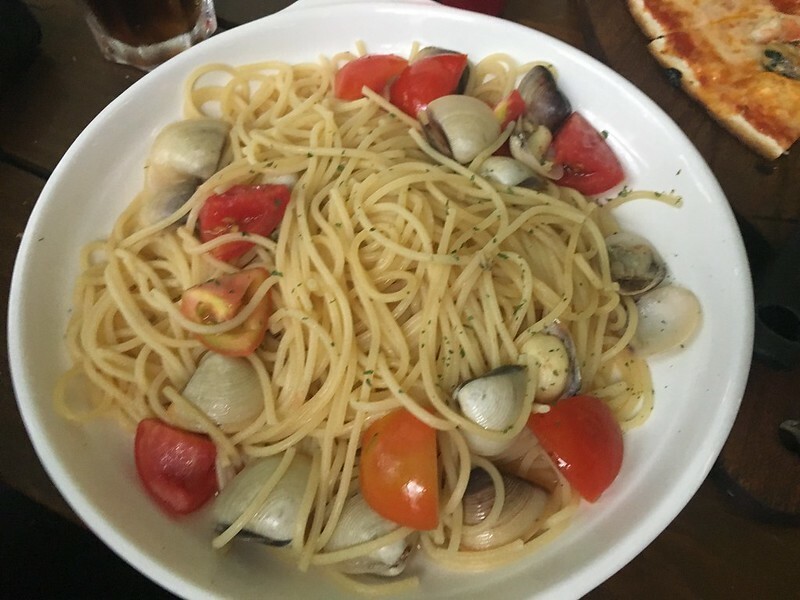 That said, it was a great lunch experience with friends, one I wouldn’t mind repeating. 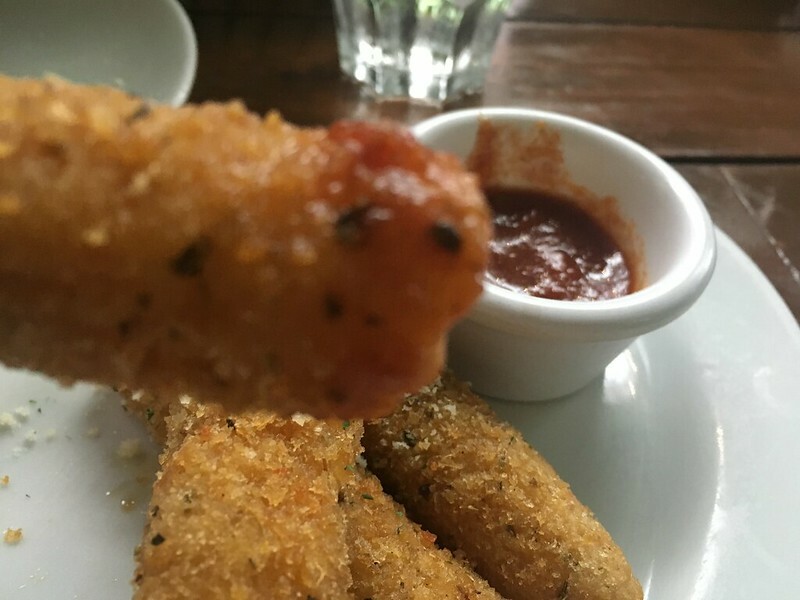 Plus, since three of us unlocked our Zomato Gold privilege at this resto, we got three of these dishes for free! 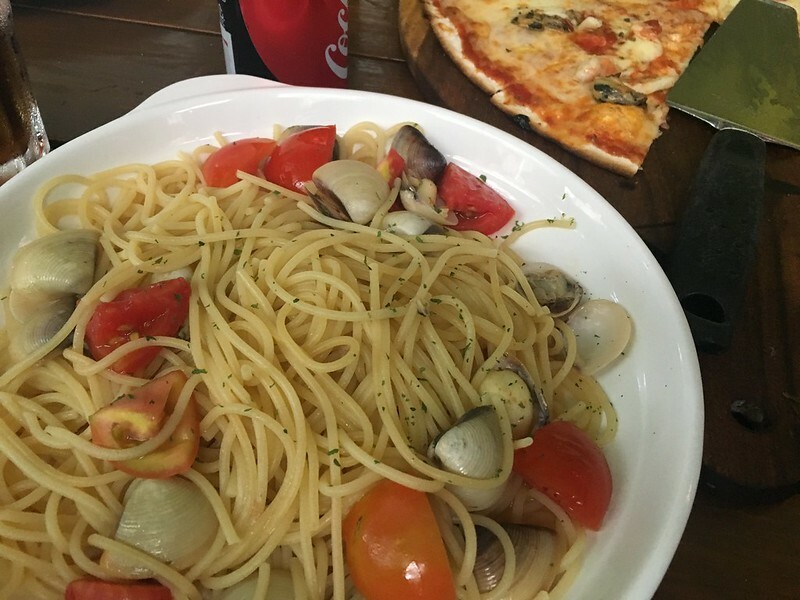 This Mama Lou’s Italian Kitchen branch is located at Level 1, Ayala Malls Vertis North, Bagong Pag-asa, Quezon City, open Mondays to Thursdays from 10am to 9pm and Fridays to Sundays from 10am to 10pm. For reservations and inquiries, call +63 2 4269196.